Kate Aspen's Mini Mason Jars are a tiny twist on a trend we love! 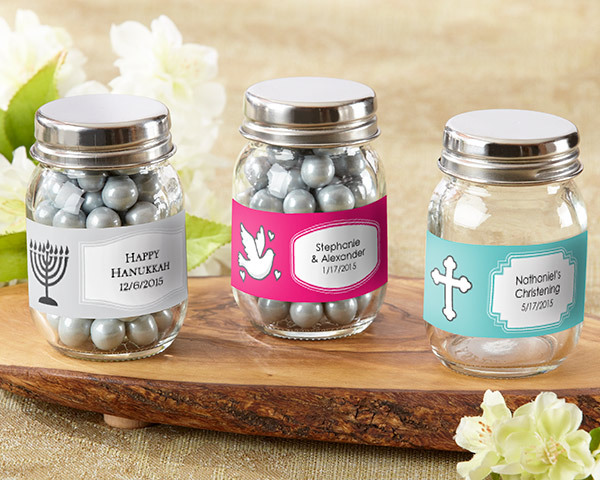 Personalize each favor jar for your religious event, milestone, or holiday and fill it with candy or cocoa. Whether celebrating a Bar or Bat Mitzvah, Baptism, Christening, or First Communion, there are design options for all.